(1) One admission ticket valid for specific date chosen only at time of purchase. 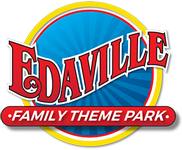 Admission ticket includes Edaville, Thomas Land, Dinoland (4/6/19-10/27/19), Christmas Festival of Lights (11/15/19-1/1/20), all rides and attractions. Upgrades must be purchased separately, upgrades are not included with this admission ticket, unless otherwise noted. All discounts must be added at time of purchase. Some discounts are valid at the gate only. No refunds will be given after tickets have been purchased. Restrictions Apply. Subject to change without notice. No Discounts on Saturdays unless otherwise noted. MA Resident Rate valid any day except Saturdays. Admission tickets are not valid for private, exclusive, pre- or post-season events. Date specific tickets are valid for the date chosen only. A 1 (one) time change within 48 (forty eight) hours in advance of scheduled ticket date is allowed. After 48 (forty eight) hours any changes will incur additional charges. Additional details can be found at www.edaville.com. Please check our schedule for opening hours, as hours vary.